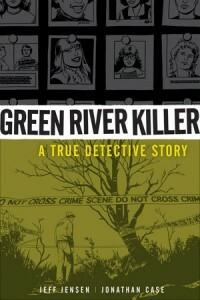 One thing you might not know about me is I’m a huge True Crime nerd. If you check out my bookcase it’s pretty much all crime related. You’ll find everything from Ann Rule to technical books. Yes, you should be afraid. I’m just kidding. Maybe. 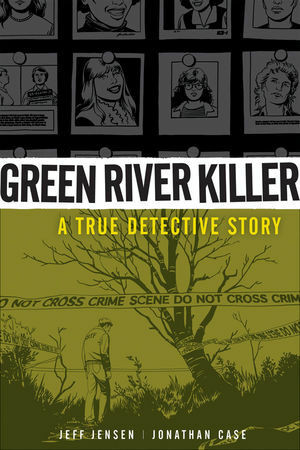 Anyway, you can imagine my excitement when I saw that Dark Horse Comics was coming out with Green River Killer: A True Detective Story. This comic is obviously different but the take on the case is as well. I’ve read a number of books and articles on The Green River Killer (Gary Ridgeway) but this one is coming from Jeff Jensen. Why does this matter? His father was on the actual task force that was assigned the the case. You can read a really interesting interview with Mr. Jensen here. I plan on picking this up and putting together a review, hopefully. I’m actually really looking forward to this! Is anyone else planning to pick it up or check it out? So ridiculously excited for this.